A range of free videos are available to help you learn more about PECS, the Pyramid Approach to Education, Pyramid as a company and the services and products we offer. Pyramid founders and PECS developers, Andy Bondy, PhD and Lori Frost, MS, CCC-SLP, visited the Saplings School in Poznan, Poland in 2016 and were presented with a lovely book made by the parents and staff thanking them for PECS and describing the incredible impact PECS has had on their children’s lives. We love it so much we decided to share! Join the developers of PECS and founders of Pyramid Educational Consultants, Andy Bondy, PhD, and Lori Frost, MS, CCC-SLP, as they discuss PECS, the Pyramid Approach to Education, products and the establishment and expansion of Pyramid Educational Consultants. 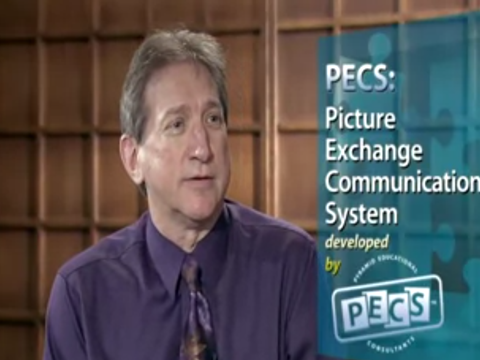 Learn more about the Picture Exchange Communication System (PECS). Topics covered include Introduction to PECS, Getting Ready for PECS, Overview of the Phases of PECS, and Tips for PECS Success. 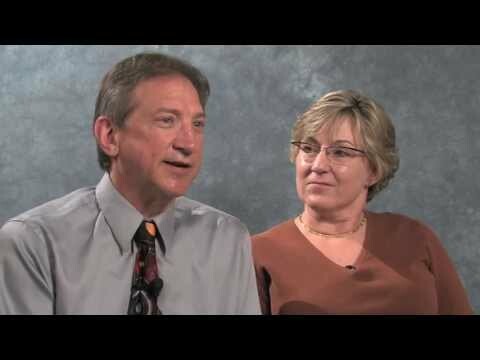 In part one of this four part video series about PECS, the co-developer of PECS and co-founder of Pyramid Educational Consultants, Dr. Andy Bondy, is interviewed. Dr. Bondy describes PECS, explains the philosophy behind PECS and describes who will benefit from PECS. 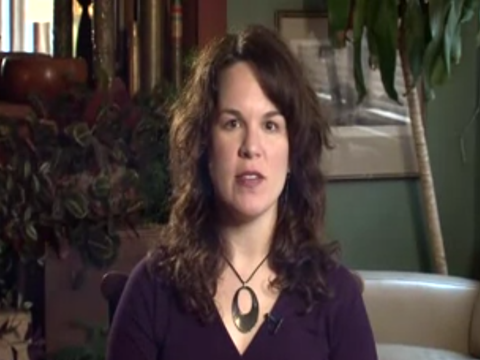 In part two of this four part video series about PECS, Vancouver Speech Language Pathologist, Karen Neill, describes how to prepare the learner and environment when getting started with PECS. 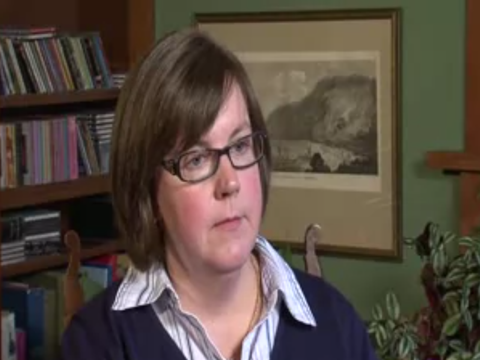 In part three of this four part video series about PECS, Education and Behaviour Consultant, Erin Yorke, describes and provides a brief overview of the six (6) phases of PECS. Part 4: Tips for PECS Success In part four of this four part video series about PECS, Vancouver Speech Language Pathologist, Karen Neill, offers suggestions that will help you achieve success with PECS. These videos were created by the Provincial Outreach Program for Autism and Related Disorders known as POPARD in conjunction with Pyramid Education. They are NOT intended to be training videos. For more information about PECS and/or to explore training opportunities contact us at admin@pecsaustralia.com. Special thanks to Donna Banzhof, Alexis MacPherson, Erin Yorke, Karen Neill, Joy McGowan and Brad Almond for their assistance in the creation of this video series. Learn more about our most requested topics: PECS, the Pyramid Approach to Education, Emotions and Verbal Behavior. Our webcasts incorporate slide show presentations and audio narration. Current titles include I am the Master of My Emotions, PECS and Skinner’s Verbal Behavior, A Clear Picture: The Use and Benefits of PECS and The Pyramid Approach for Parents and Professionals. General Description This webcast begins with a brief overview of the Pyramid Approach to Education, a unique teaching model designed by Andy Bondy, PhD based on the principles of broad spectrum applied behaviour analysis. This webcast will briefly discuss the base elements of the Pyramid including functional activities, reinforcement systems, communication/social skills, and contextually inappropriate behaviours and alternatives. A description of the Pyramid’s top elements, including generalisation, creating effective lessons, specific teaching strategies, minimising and correcting errors, and data collection and analysis will follow. The Pyramid Approach for Parents and Professionals is appropriate for all members of the educational team who would like to learn about the Pyramid Approach to Education, including speech-language pathologists, parents, teachers, paraprofessionals, behaviour analysts, psychologists, social workers and other professionals who are providing services for or living with individuals with developmental disabilities. Attend the Pyramid Approach to Education Training to learn more about the Pyramid Approach to Education. You can also view our current training schedule. 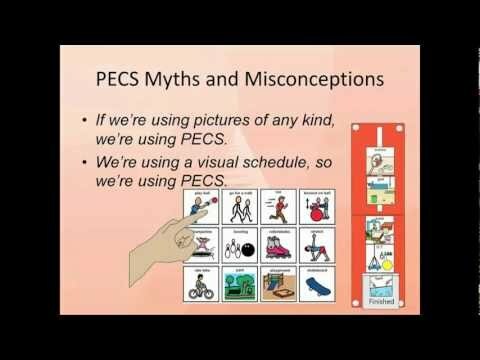 Join Lori Frost, MS, CCC-SLP as she introduces the Picture Exchange Communication System (PECS), and includes a synopsis of the six training phases, a discussion of myths and facts associated with PECS and an overview of the research related to PECS. 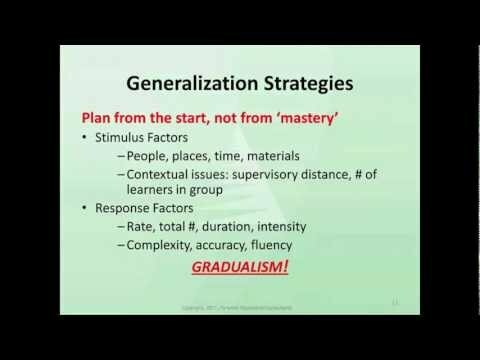 General Description This webcast begins with a brief overview of the Pyramid Approach to Education, a unique teaching model designed by Andy Bondy, PhD based on the principles of broad spectrum Applied Behaviour Analysis (ABA). A description of traditional approaches to communication and an overview of PECS follow. Lori briefly discusses the phases of PECS and outcome data, as well as the relationship of PECS to reinforcement systems, schedules, and behaviour management. Please note that this is an overview only and is not intended as a training workshop. A Clear Picture: The Use and Benefits of PECS is appropriate for all members of the educational team who would like to learn about the Picture Exchange Communication System (PECS), including speech-language pathologists, parents, teachers, paraprofessionals, behaviour analysts, psychologists, social workers and other professionals who are providing services for or living with individuals with developmental disabilities. Attend the PECS Level 1 Training to learn more about PECS. You can also view our current training schedule. Join Andy Bondy, PhD as he explores why many children, especially those with autism, have difficulty in acquiring language related to expressing emotions and identifying emotions in other people. Andy presents the information in a simple and conversational manner, enabling even the novice to grasp the concepts discussed. B.F. Skinner provided an important guide to the analysis of language in his book, Verbal Behavior. In this book, he stresses the critical value of focusing on the function of various aspects of communication. His analysis includes a very interesting section on what he termed “private events.” That is, how do we learn to talk about things that happen inside us? 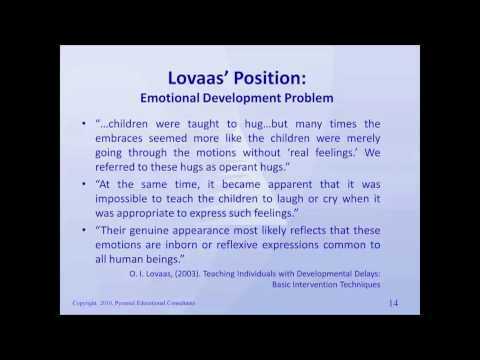 I am the Master of my Emotions will review traditional approaches to teaching children with autism to communicate about their emotions as well as how to respond to such language from other people. Dr. Bondy will also review how to consider various lessons related to emotions and how to incorporate Skinner’s analysis into the design of effective lessons. These lessons may involve very young children, teenagers or adults who continue to have difficulty with this topic. This webcast will review why this area is so difficult for those with autism and suggest teaching strategies that may lead to successful acquisition of these complex language skills. Attend The Language of Emotions workshop to learn more about this topic. You can also view our current training schedule. Join Andy Bondy, PhD and Lori Frost, MS, CCC-SLP as they explore how the work of B.F. Skinner can help everyone better understand how language can be viewed from a behavioural perspective. The information is presented in a simple and conversational manner, enabling even the novice to grasp the concepts discussed. 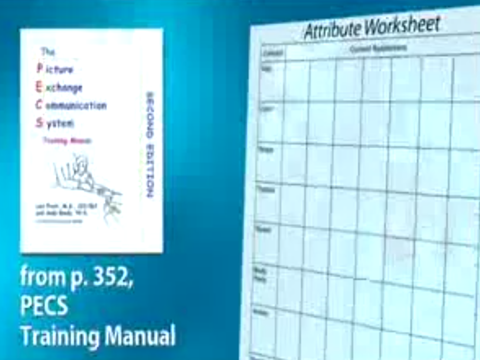 Skinner wrote an important behavioural analysis of language in the book, Verbal Behavior. In this book, he shows how we can look at basic units of language and determine how they are systematically related to important aspects of the environment. By understanding how these language units- called verbal operants- are acquired, we can better plan to help learners with communication challenges to master simple units as well as more complex parts of language. His analysis stressed that the form or mode of communication is not as important as the functional understanding of language units. For example, requesting an apple leads to a different outcome than commenting about an apple. Talking about an apple that is in front of you is different than talking about the apple you ate yesterday. Skinner’s analysis also points out why certain parts of language – “I really want the apple” – are so difficult for individuals with autism to learn. Finally, we point out that this analysis can be helpful to everyone – parents and professionals from various fields of study. 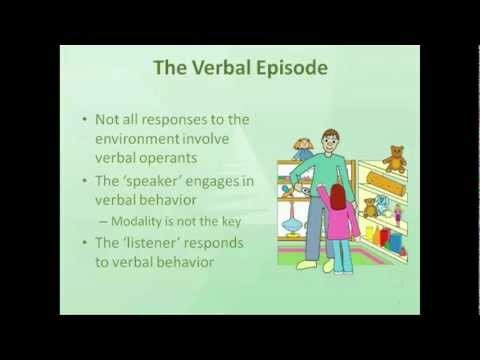 PECS and Skinner’s Verbal Behavior is appropriate for all members of the educational team who want to learn more about Skinner’s Verbal Behavior, including speech-language pathologists, parents, teachers, paraprofessionals, behaviour analysts, psychologists, social workers and/or other professionals providing services for individuals with autism spectrum disorders. Presenters: Andy Bondy, PhD and Lori Frost, MS, CCC-SLP Attend the Analysing and Fine Tuning Communication workshop to learn more about this topic. You can also view our current training schedule. Our webcasts are slide show presentations with audio narration that are streamed from our website and viewed from your computer. Please note our webcasts are not live and do not allow interaction between the presenters and the audience. The webcasts are overviews only and are not intended to replace training workshops in the relevant areas.